Originally published under the title "National Security Strategy Sets America on Pragmatic Path to Secure Middle East Interests." Russian President Vladimir Putin had some choice words recently about President Trump's newly unveiled national security strategy. "The U.S. has recently unveiled its new defense strategy. Speaking the diplomatic language, it is obviously offensive, and, if we switch to the military language, it is certainly aggressive," Putin told state-owned media. He's right, and that's sort of the point. The strategy laid out in the 68-page document is intended to set out in clear detail how this administration views the world, and to demonstrate clearly that our nation means what it says. For foreign leaders, it provides guidance on what we expect of them, and states plainly that the United States is leading the world down a new path, one that prioritizes American interests above idealistic — and naive — visions of global cooperation. Previous U.S. administrations took careful, dithering approaches to promoting American interests. Where previous administrations took careful, dithering approaches to promoting our interests and securing our nation, this document lays out a vision that finally prioritizes the American people and our needs. If the Trump administration can execute it, our nation will be far better off in the future. For the Middle East, the national security strategy offers a new view of American leadership. Importantly, and for the first time, an American government is recognizing the unique threats posed by Islamists, offering plans to counter not only terror attacks but also the ideology that enables terrorist groups to grow and fuels the violence they perpetrate. For the first time, an American government has officially recognized the unique threats posed by Islamists. 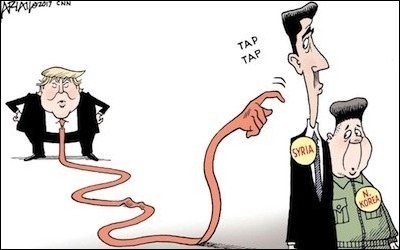 The plan lays out a basic strategy for American involvement, and puts an end to disastrous policies of the past which focused — in turns — on failed policies seeking aspirations for democratic transformation or total disengagement. And unlike previous similar documents, this administration finally recognizes the interconnectedness of big global problems such as the expansion of Iranian influence, state collapse, radical Islamist ideology and socio-economic stagnation. 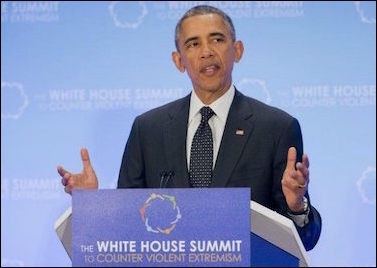 The new plan ends the Obama-era practice of "Countering Violent Extremism." This disastrous program provided funds to Islamist groups to help draw sharper distinctions between terrorists and those who merely push ideologies that support terrorism. The Obama administration sought to draw sharper distinctions between terrorists and those who merely push ideologies that support terrorism. Instead, it pledges to, "[combat] the evil ideology of jihadists by exposing its falsehoods, promoting counter-narratives, and amplifying credible voices." It also pledges to combat sources of funding for "jihadist terrorist organizations," whatever and wherever those sources may be. This is another sharp and much-needed contrast from Obama-era policies that allowed Hezbollah to operate a billion-dollar business laundering money and trafficking in drugs and weapons in order to keep Iran in negotiations for a deal that would ultimately pave its path to nuclear weapons. In fact, the national security strategy previews a plan to dismantle transnational criminal organizations (TCOs) such as Hezbollah entirely. To do so, the administration aims to use tools such as strategic planning and intelligence sharing, public health initiatives that shrink the markets for illicit drugs, aggressive military and law enforcement action to target these organizations' infrastructure, and a sophisticated cyber-based effort to attack the online marketplaces and cryptocurrencies that TCOs use. 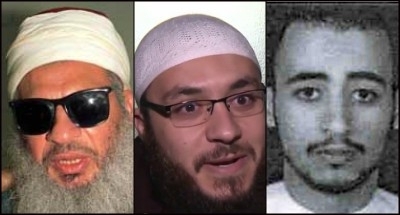 Those who have exploited lax visa restrictions to gain entry to the U.S. include 1993 World Trade Center bombing mastermind Omar Abdel Rahman (left), Ammar Shahin (center), the California imam who in July called for Muslims to kill Jews around the world, and 9/11 hijacker Hani Hasan Hanjour (right). The strategy document also talks about making much-needed reforms to our immigration system. The need for smarter, more effective control of our borders has been an issue for a long time. And on the campaign trail last year, President Trump talked about the need for "extreme vetting" for individuals coming to our shores. My colleague Daniel Pipes has written about how to go about this in an intelligent way so that our government can figure out clearly which foreigners seek a better life (or a nice vacation) and which aim to do us harm. Though it remains mum on what specific policies will be implemented, the national security strategy states clearly that "we will set higher security standards to ensure that we keep dangerous people out of the United States and enhance our information collection and analysis to identify those who may already be within our borders." The document offers a powerful vision that previous administrations never would have laid out so clearly. Broadly, this strategy aims to foster a Middle East that is "not a safe haven or breeding ground for jihadist terrorists, not dominated by any power hostile to the United States, and that contributes to a stable global energy market." It's a powerful vision that previous administrations never would have laid out so clearly. Viewed through that lens, President Trump's December announcement recognizing Jerusalem as the capital of Israel makes perfect sense. Bolstering our allies is a key part of building the Middle East laid out in the document. And despite prognostications of Armageddon in response, the reaction largely has been phoned in. That's a sign that the plan already is working. As Washington debates the merits of this national security strategy, it's worth noting who's angry. Leaders from Russia, China, North Korea and Iran have condemned it. And that's a good thing. Gregg Roman (@GreggRoman) is director of the Middle East Forum.